Start, Learn, Run, Score, Win! 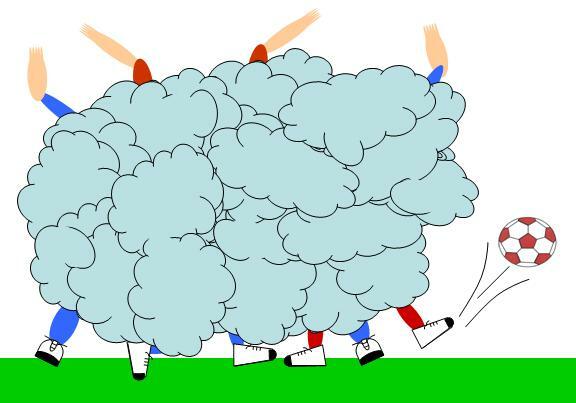 For the very young or first time players learning where to go and what to do in soccer is not always clear. The soccer field is large. You know where their goal is and you know where your goal is, but where should you be? One possible solution to managing traffic on the field is the traffic lane concept. The playing field can be divided into three traffic lanes. Each player is assigned to a lane and is responsible for what happens in that lane. He is allowed to leave his lane if there is a need to, but he should get back to his lane quickly and spend most of his time there. 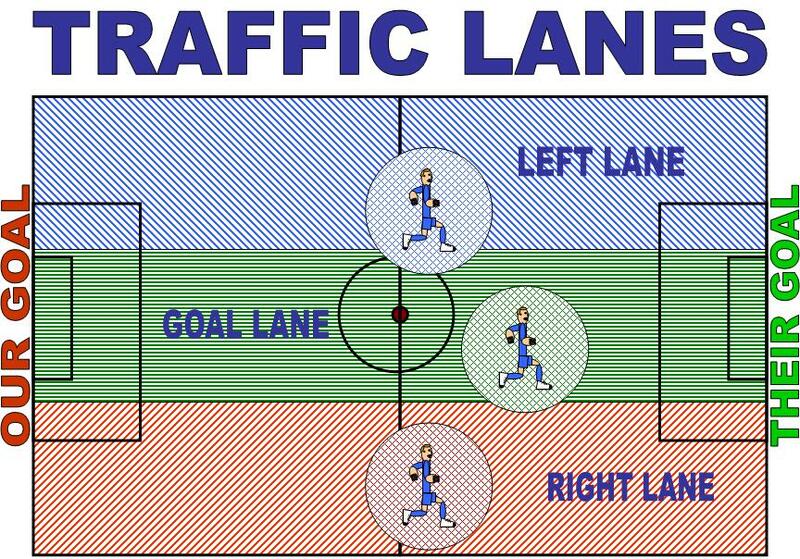 The three lanes are labeled belowas the left lane (facing the target goal), the goal lane, and the right lane. No matter which lane you are assigned to, you will need to play offense (attacking) and defense (protecting) as you move up and down the field. By staying in your lane, you can cover a greater amount of the field. If you are not in your lane, you will be leaving a hole for the other team to go through! So, stay in your lane.